Over the past few years, Shakti Durga has begun offering classes online for our expanding world-wide community. Below you will find recorded sessions on the topics of Empowering Relationships, Spiritual Mentoring and Spiritual Mastery. Many courses and Satsangs with Shakti Durga or her senior teachers are also now being broadcast live online. These must be attended at the time of the event. Details may be found on the Shanti Mission Calendar, search by Category: Online Classes. We recommend that you use headphones for better sound. For assistance email onlineclasses@shaktidurga.com. Sessions are offered by heartfelt donation, details of which may be found at the bottom of this page. Join us in person at our Cooranbong Harmony Centre or live online on Sunday mornings for Satsang with Shakti Durga for meditation, music and blessings! When Shakti Durga is travelling overseas her senior teachers will offer satsang online via the Abode of Peace Facebook page. These sessions have all been helpful and inspiring and are well worth watching again and again! These classes look at how you can become a peacemaker by cultivating skills that perhaps we were not raised with as children. They are filled with helpful insights and tools that you can can use to solve many forms of relationship problems and move forward in a constructive way. 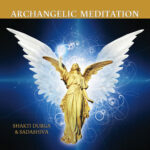 The recorded classes each contain a very powerful healing meditation. These classes are being offered by Donation. Please look into your heart and give generously in accordance with your means. Call 02 4977 3300 or Click here and fill in the Donate form or click on Paypal button.